Getting to know Topcoder Admins: Meet ward – Ward Loving! 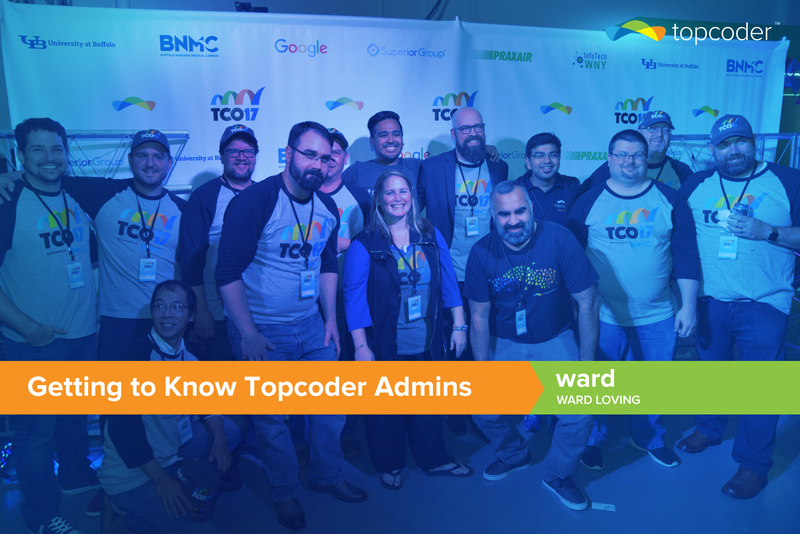 Ward has been an essential part of the Topcoder team for over 4 years as a software architect working on some pretty cool projects. What is the tech stack, you like to work with the most and why? I’m really a backend developer. Java and Python are the languages that I’m most familiar with. I’m afraid my Java Web Component Developer Certification that I received in the 2003-2005 timeframe is badly out of date. My real expertise though, rather than an specific language or technology is working with data. Before I worked at Topcoder, I was the data migration resource on many Appirio Salesforce.com projects that had considerable data mapping and transformation challenges. I also did a stint as a Workday Integration Developer. Now at Topcoder, I’m also focused on data-driven applications in our Data Science practice. My Java comes in handy though, I’ve had outstanding results developing Service layers using Java SpringBoot and DropWizard. I smile a little on the inside when I see a pom.xml file. And I do a little data munging from time to time in Python just to stay sharp. What’s the most challenging thing you have to do as a Software Architect? How do you deal with it and also with everyday problems that come your way, in your role as an Architect? This most difficult thing to deal with is when unexpected outcomes or surprises happen. For example, we have a failed challenge, or a developer has overcommitted themselves and work doesn’t get completed as expected or promised. As a community architect we make commitments to customers that certain tasks will be accomplished by a certain time. It can be uncomfortable to go to a client and say I’m sorry we didn’t get this done. This is learning process. I’m getting better about putting padding into my planning process to make it more likely that I can meet expectations. The reality is that Topcoder members do work on challenges/tasks part-time and things do come up. It can be be quite difficult to estimate the time required for a task before attempt to solve a certain problem. As a member of a Topcoder development team, we also have to deal with reality of asynchronous communication too. Generally, we’re not all in a room together. 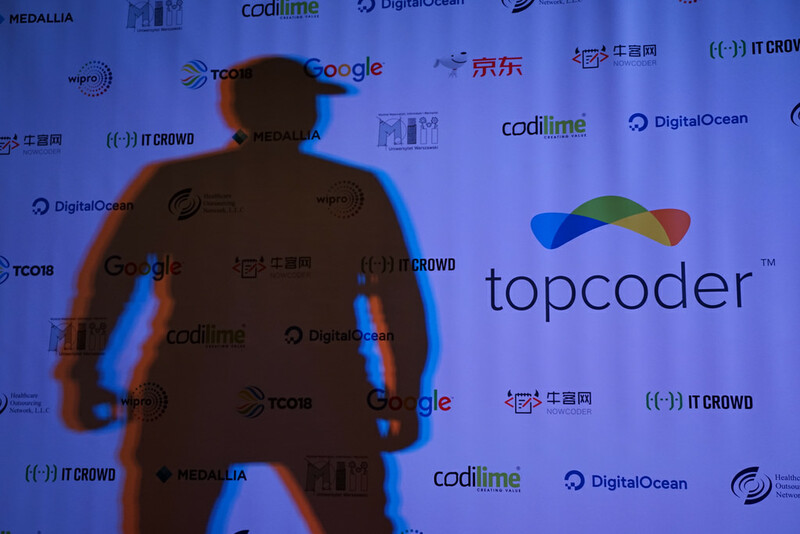 What are your interests besides being a part of Topcoder? 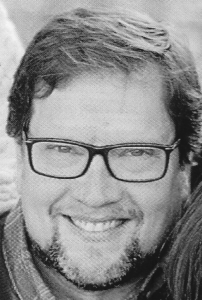 In addition to being a musician (recent roles include Max Detweiler in the Sound of Music, the Baker in Into the Woods, and Mr. Bungee in A New Brain), I’m an avid skier (both Alpine and Nordic) and hiker. I live in the mountains of Idaho and I get to indulge these passions. I see members on a regular basis produce outstanding outcomes that truly delight our customers. Our members have a real passion for what they do and this is obvious in their engagement with Topcoder but also from the designs, code, and applications that they produce. It happens to me all the time. I’m sitting their reviewing the winning submission from one of our challenges and I think, wow, “How did the member accomplish all this in 7 or 10 days. This is remarkable. My client is going to be thrilled!” That never gets old. I love clients that give us a little rope to experiment and try things out with our development model. We might not figure a problem out with a single challenge but given time and budget we can handle almost any technical challenge in any domain. The Topcoder Platform is a very flexible and powerful tool. I think Topcoder will continue to support experimentation and development efforts around Cryptocurrency but I think it’s going to need to be a lot more mainstream (and stable in price/value) before we would actually make payment in Cryptocurrencies. We have an amazing group of copilots. They are so committed and energetic. It is a pleasure to work with them and I depend on them heavily for program execution and technical advice. I can’t think of a more productive or capable group of folks. We’re very lucky. I think responsiveness and dependability in a copilot are key qualities. Well, I would starve as a either as competitor or a reviewer. I would be way to slow at either activity so I guess that leaves copilot. I don’t think that’s too different than what I”m doing now so I could pull that off I think. I think it would be fun to hang out with thomaskranitsas in Greece but I doubt I would survive more than a few days. We’d be doing Wingsuit Jumping or consuming way too much Uzzo or something along those lines! I wouldn’t mind having a glass of Montsant with chok68 in Barcelona either. We had really nice visit at the last TCO in Buffalo. All these technologies represent innovations that will change the current technology landscape and will become opportunities for Topcoder members that embrace these new paradigms. AI is definitely the field that I’m paying the most attention too and that interests me most deeply. Expert systems — kind of a limited, applied versions of AI — are becoming ubiquitous. Everyone wants Machine Learning applied to both structured and unstructured data their respective domains. Fortunately, Topcoder members have great “chops” at implementing machine learning-based apps. We’re busier than ever implementing these applications and developing algorithms. Behind the scenes, the major players here are making significant commitments and strides. Check this out. DaraK is an enthusiastic designer, is passionate about improving the customer’s online experience, likes to travel, and learn about other cultures.